Peoples Democratic Party leader Agha Mohsin Tuesday filed his nomination papers for the Srinagar parliamentary constituency. 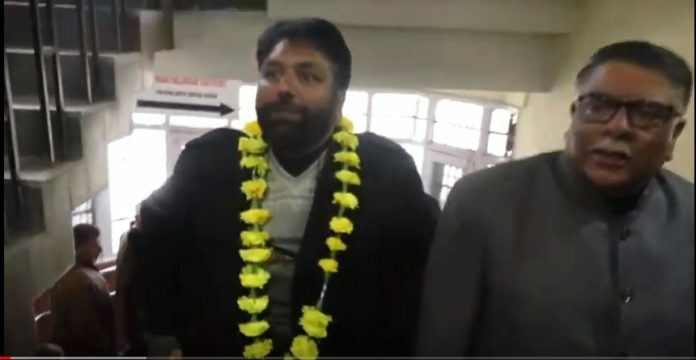 Senior PDP members including Ghulam Nabi Lone (Hanjura) accompanied Mohsin to the office of deputy commissioner Srinagar where he filed his nomination papers. He has filed nomination on the last day of filing nominations.